The Thermo Scientific TSG Series of refrigerators debuted during the 70th American Association for Clinical Chemistry (AACC) Annual Scientific Meeting and Clinical Lab Expo. Powered by Phononic’s solid state cooling technology, the new TSG refrigerators have been designed to provide uninterrupted temperature stability and cleanroom-compatible readiness for reliable storage of the most sensitive materials. Furthermore, the systems offer whisper-quiet operation at less than 35 dbA, meaning they can be placed in clinical laboratories, nurse’s stations, and even patient rooms and intensive care units, without disrupting the work environment and patient comfort. With Energy Star-rated performance, the refrigerators consume significantly less energy than similar models, meeting clinical settings’ sustainability objectives and reducing operating costs. In addition, as they feature fewer refrigeration components compared to other available units, require only minimal maintenance and offer increased storage capacity. "Maintaining optimal cold storage conditions is of utmost importance in clinical settings to preserve the viability of stored materials, as is the need to maximise efficiencies by locating vaccines, medicines and lab kits close to their point of use," said Alex Esmon, senior product manager, cold storage, laboratory equipment, Thermo Fisher Scientific. 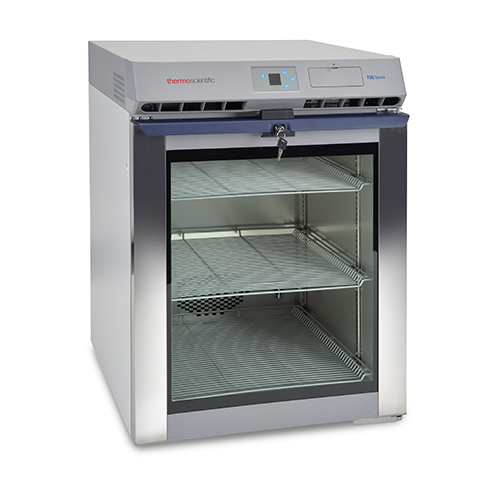 "With this in mind, we have introduced the new series of high-performing refrigerators to offer our clinical customers confidence that their valuable materials are fully protected at all times. The solid state technology used in the TSG Series allows for minimal impact on the clinical environment through reduced operational noise and heat output, while the systems’ small size maximises working space." As with the TSX Series, the new TSG Series uses environmentally-friendly refrigerants in line with global initiatives aimed at minimizing greenhouse gas emissions. Additionally, the systems feature an alarm capability, notifying users of temperature fluctuations, door ajar and power failure, enabling for corrective action to ensure ideal storage conditions are always maintained throughout the internal chamber.